Happy Friday!! Well, winter has officially arrived in Missoula, MT. We are buried under at least 1.5 feet of snow, and expecting more....plus freezing rain at some point. So, Josh and I have made the executive decision that we are going to stay home all day long (except for a quick trip to the Walgreen's RedBox that is just a few blocks away) and stay OFF of the crappy streets & roads. I think that sounds like a pretty grand idea....tee hee! 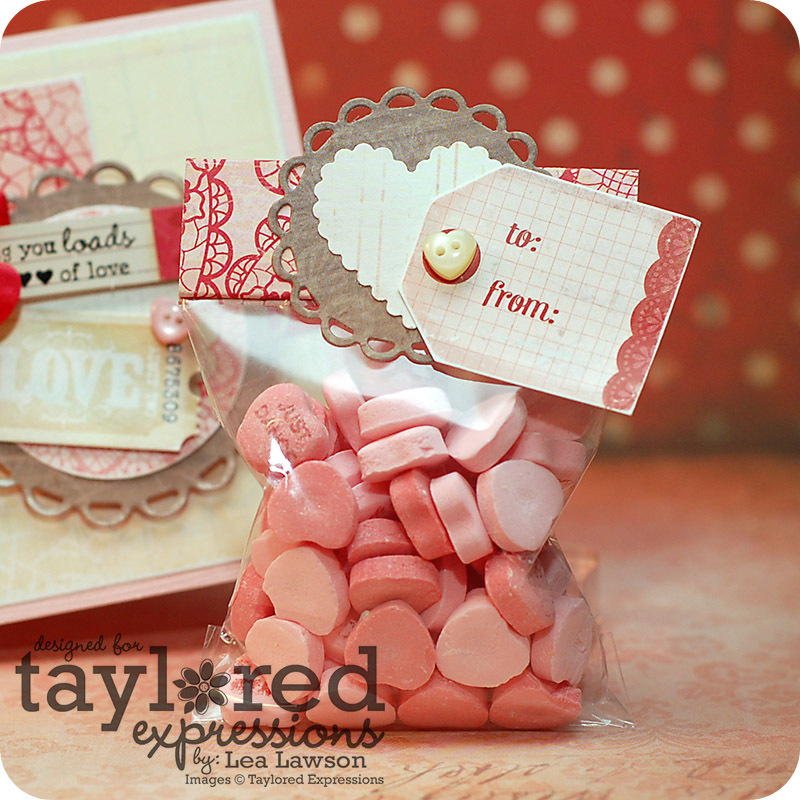 Card Instructions: Make card from pink cardstock. Cut lined paper slightly smaller, sand the edges and adhere. Cut a block of heart doily paper, sand the edges and adhere to the left. Cut a banner edge to two strips of paper, sand the edges and adhere together. Then adhere the layered banner to the left side of the card. Wrap ribbon around the middle, tie a double bow and adhere. Diecut a lacey circle from brown patterned paper and sand the edges. Layer a circle sticker to it, then adhere to the right of the ribbon using foam adhesive. Stamp the sentiment to a label sticker, then cut out. Fold the left edge and adhere around a heart topped pin. Stick into the bow along with another heart tipped pin. Sand the edges of a ticket sticker and adhere below the sentiment. Accent the front with heart buttons to finish. Treat Instructions: Fill a plastic bag with Sweetheart candies. Cut a blog of heart doily paper, and slightly fold in the two edges. Fold the entire piece in half, then staple the back half to the plastic bag. Add a little bit of hot glue underneath the front flap and adhere. 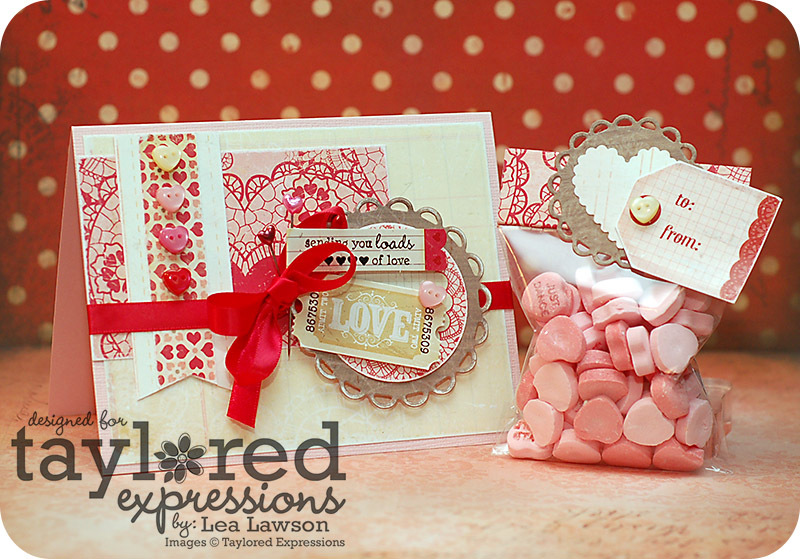 Diecut a lacey circle from brown paper, and punch a scalloped heart from lined paper. Layer together and adhere to the treat topper. Sand the edges of the sticker tag and adhere to the right side of the punched heart. Add a heart button to finish. Did you know that this kit is still available for purchase? 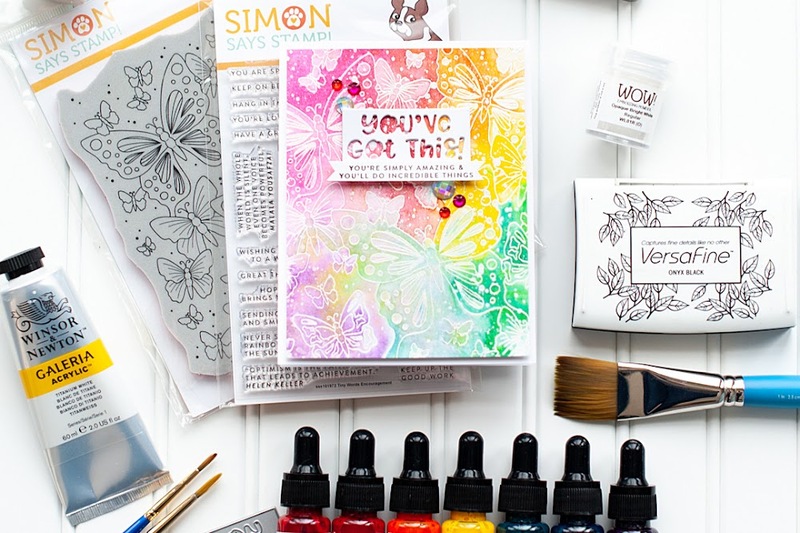 That's right...if you haven't subscribed yet and would really love to get this kit, just make sure you do subscribe by January 31st. 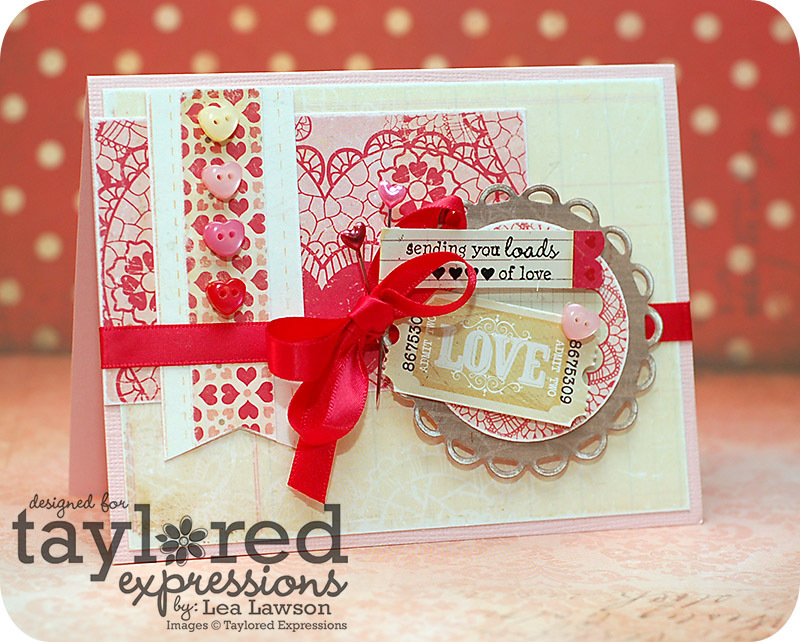 You still have plenty of time before Valentine's day to get it, and create lots of cards for those that you love! CLICK HERE to be taken to the Subscription Page!! Be sure to check out what the rest of the Key Ingredients team has created for this "Classroom Treats" blog hop! It is sure to be super yummy!! Delicious!!! LOVE LOVE LOVE!!!!! I have been away from blog land, so nice to see you again! :) Have a GREAT weekend! What a sweet and pretty treat!! Love it! Smart to stay inside and spend some quality snuggle time with the the hubs! Enjoy! Awwwww Lea this is DARLING! I LOVE the treat bag you made w/ the conversation hearts- FAB idea! That card is just STUNNING. What a beautifully paired project! Gorgeous card!!! Love it! And the bag topper is darling! This is so beautiful and soft! Love the layering and thank you for the how to directions! Thanks for the inspiration. Your projects are so awesome. What great colors. What a cute set! I love the dp's and all the different layers of die cuts! 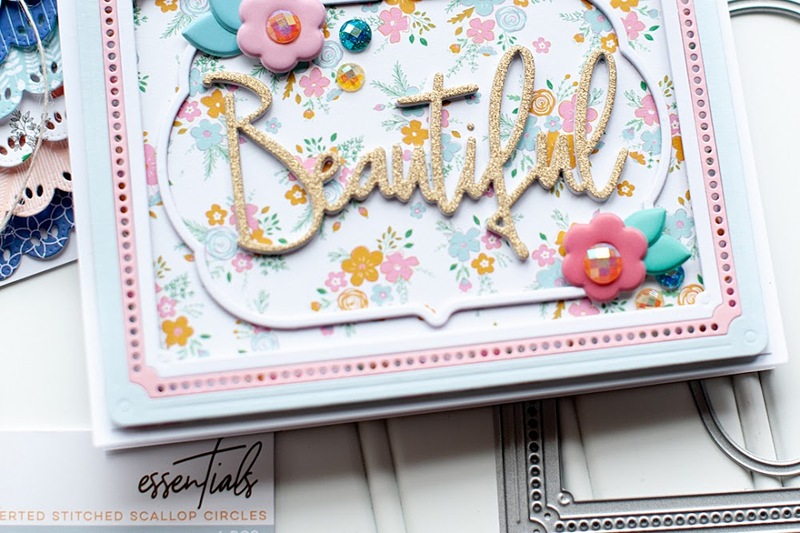 Thanks for joining us for the Timeless Tuesday challenge this week! My goodness, so sweet!! 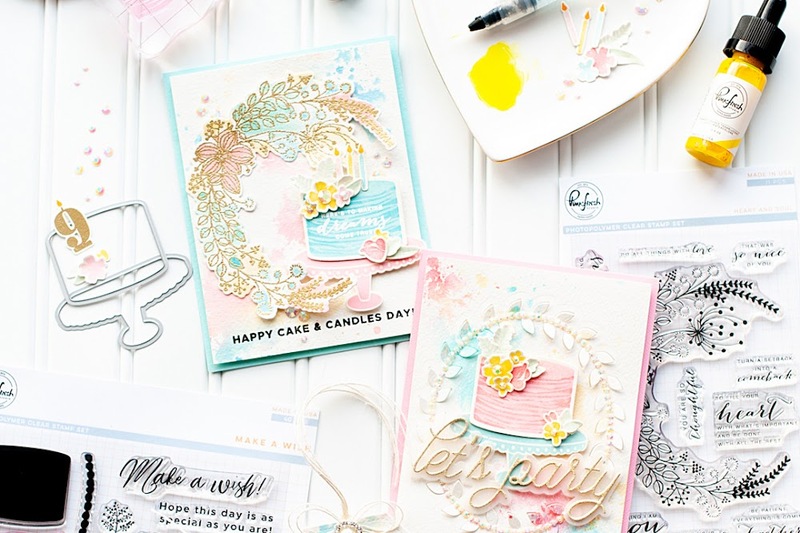 Always a pleasure to have you share with us at Drunken Stampers! Yum, yum. Amazing set. Love what you created. Thanks so much for joining us on Paperplay this week.